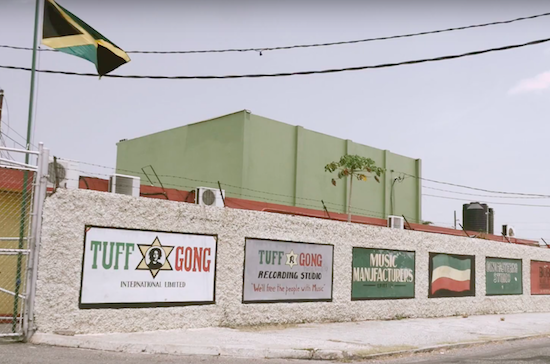 Tuff Gong, the Bob Marley-founded vinyl pressing plant in Kingston, Jamaica, is to reopen owing to a new partnership with US company Sunpress Vinyl. As The Vinyl Factory reports, the plant will undergo renovations in the coming months with an aim to reopen in the spring. Tuff Gong had been facing increasing demand from musicians and labels in the Caribbean, as well as further afield in Asia. The company was originally founded in 1965 by Bob Marley who had wanted a collective record production, manufacturing and distribution facility. "The interest in owning music in vinyl format has experienced eight consecutive years of growth, and Tuff Gong is happy to rejoin this movement," said Tuff Gong's general manager Marie Bruce of the plant's reopening. The move comes in the midst of recent news that the vinyl industry was on track to becoming a billion dollar industry with UK vinyl sales having hit a 25-year high.